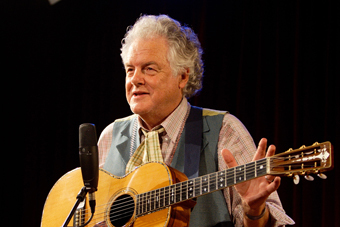 Peter Rowan is a bluegrass master. His musical roots go back to Bill Monroe. He didn’t just hear Bill Monroe’s recordings – he played guitar and sang lead with Bill Monroe and the Bluegrass Boys in the mid-1960s. After stints in Earth Opera, Muleskinner, and the Marin County rock group Seatrain, he co-founded Old and in the Way with Jerry Garcia and David Grisman. Since then, he’s recorded more than 30 albums and earned six Grammy nominations. His classic originals include “Panama Red,” “Lonesome L.A. Cowboy,” and tonight Peter will be playing songs from his new album, My Aloha, along with favorites.